Shane Smith, co founder of Vice News, interviewed President Barack Obama in an eighteen minute program recorded last week. Smith asked Obama questions that were at the top priority of his internet readers. They both covered a handful of topics including climate change, ISIL and marijuana legalization. Obama muses the Republican party a few times during the interview, but answers Smith’s questions almost flawlessly. As for marijuana getting legalized, the president makes it a point to say that there are more important things young people should be concerned with and that marijuana should be at the bottom of those priorities. President Obama Speaks with VICE News "discussing...foreign policy and marijuana legalization to global warming and political gridlock." 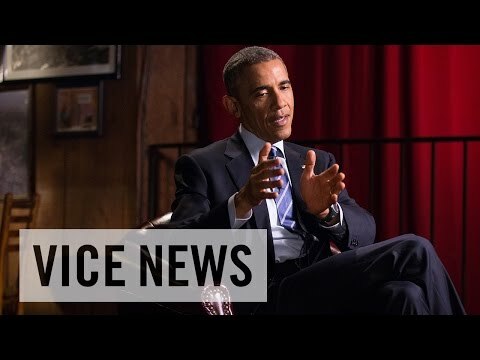 Obama just gave this interview to vice what do you guys think about his response to legalization?